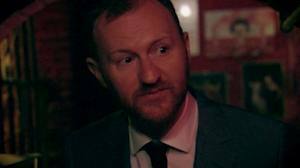 Genre fan, actor and screenwriter Mark Gatiss follows up his highly endearing and entertaining 2010 series A History Of Horror with a one off companion piece entitled Horror Europa with Mark Gatiss. 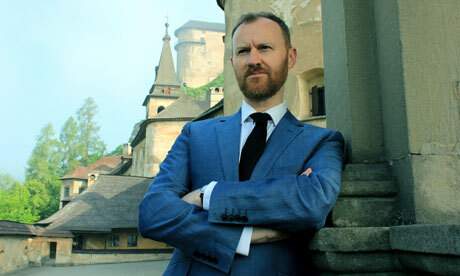 As described on the BBC website "Actor and writer Mark Gatiss embarks on a chilling voyage through European horror cinema. From the silent nightmares of German Expressionism in the wake of World War I to lesbian vampires in 1970s Belgium, from the black-gloved killers of Italy's bloody Giallo thrillers to the ghosts of the Spanish Civil War, Mark reveals how Europe's turbulent 20th century forged its ground-breaking horror tradition. On a journey that spans the continent from Ostend to Slovakia, Mark explores classic filming locations and talks to the genre's leading talents, including directors Dario Argento and Guillermo del Toro." I had no idea this was happening until today and it really brightened up a horrible day. Hopefully Gatiss will provide a similar balance of facts, personal memories (that I'm sure many of us of a certain age will share) and humour as he brought to his earlier series. You can catch the show on October 30th at 9pm, repeats will be shown at 2.10am on the 31st and 10.50pm on November 3rd. This sounds awesome! I wonder where I can track this down? Been MIA for a while, so I have a LOT of your reading material to catch up on. :) Gonna be busy!!! Favourite Hong Kong Movies. The End.